There's almost nothing more exciting than the anticipation of a new traveling adventure. Whether you've been planning a trip for months or you're embarking on a spontaneous getaway, one thing is for sure: You need a reliable hat to keep you protected from the sun. So what are the best sun hats for travel? It depends on a handful of different factors. 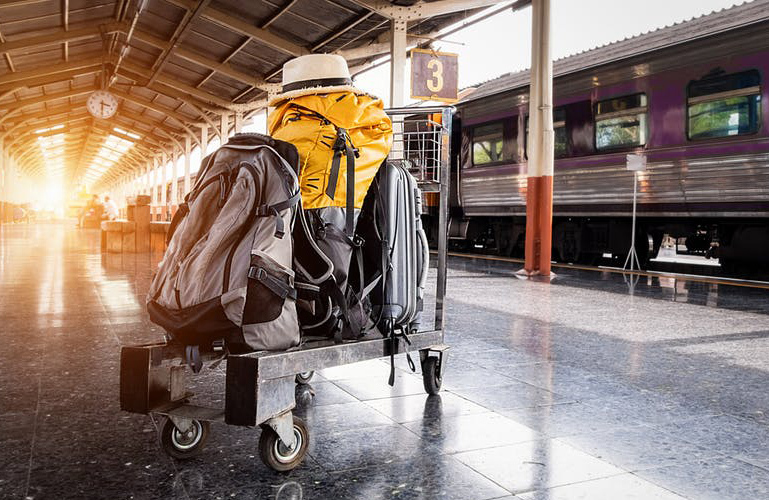 When it comes to the best sun hats for travel, you want to look for those with labels that describe them as crushable, packable, portable, foldable, or otherwise easy to stash. You should be able to easily pack it away in your bag or luggage without worrying that you're going to damage it. A good travel hat is neither rigid nor weak — it's malleable and built to last. 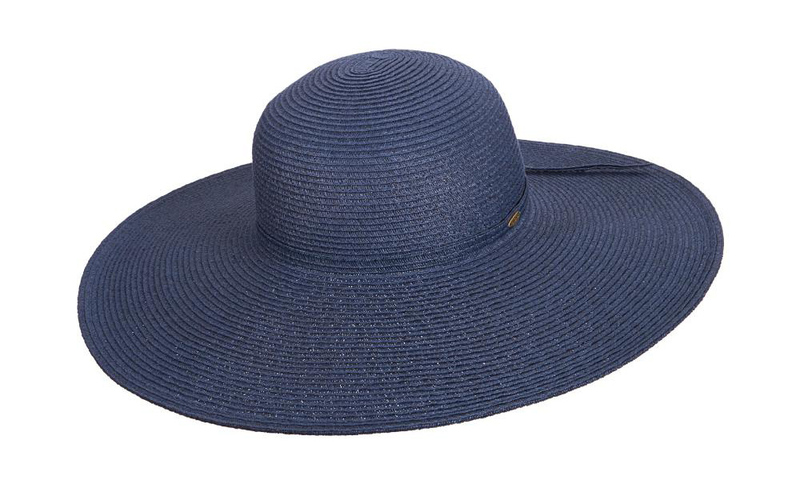 A packable sun hat doesn’t have to be small or look any different than a regular hat, either. Many packable hats are wide brim hats or floppy hats that can be stowed away when not being worn. Great sun protection is a must. There are a couple of ways to ensure your hat provides enough protection from the sun's harmful UV rays. One is to select a hat with a wide brim, which means a three-inch brim or larger. If a wide-brim hat isn't exactly your style, pick something with at least a two-inch brim to shield your face and ears — boonie hats, bucket hats, and floppy brim hats are solid choices. Also, look for hats with UV protection. Read the label to find the UPF rating, which measures the ultraviolet protection factor of the fabric. Things can really heat up when wearing a hat in the sun. As such, choose hats made with breathable fabrics, such as straw, cotton, and specially-made synthetic materials that help wick away moisture. Many of these are also waterproof. The LTM6 Airflo hat by Tilley is a good breathable sun hat you can find on Amazon as is the Bora Bora Booney II sun hat by Columbia. When traveling, the last thing you want to worry about is whether or not your hat is going to fall off your head. Look for features such as an adjustable chin cord that keeps the hat in place. Having an adjustable drawstring or chin cord also allows you to customize the hat size and create the perfect fit so you don't end up with a headache. After a day of adventure, you'll wish you had one of these on your hat. Now that you know what to look for when it comes to the perfect sun hat, it's time to go shopping! Take a look at our top picks to take on your travels, and don't forget to check out our full selection of womens crushable hats and mens crushable hats. Even if you're not traveling to Australia, this handsome outback hat from Scala is just what you need, mate. Constructed of hand-crocheted raffia with an elasticized sweatband, you'll instantly appreciate the quality and comfort. The vented crown ensures breathability while the three-inch brim is a perfect shield from the sun. As for the sleek leather band, it's the perfect touch for those with a "less is more" sensibility. 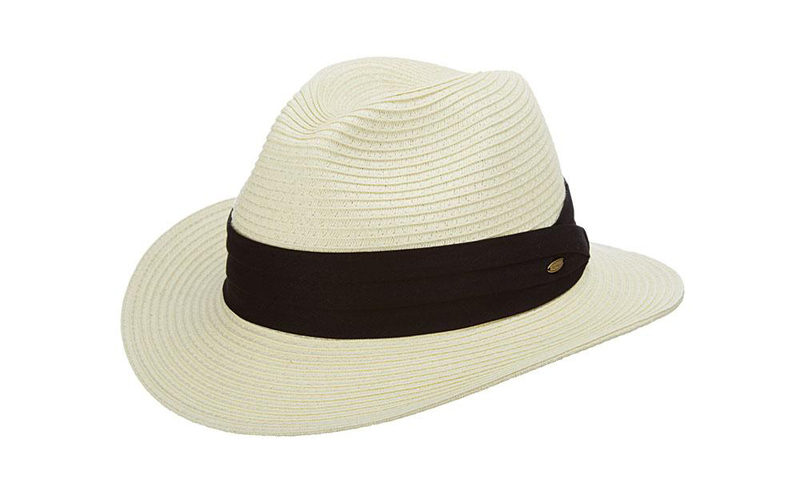 For those sun-filled days at the chateau you can't go wrong with Scala’s straw safari hat. The ivory color is perfect for reflecting light and heat to help keep you cooler, plus the twill sweatband ensures a comfortable fit. The 2 1/2-inch brim is neither too big nor too small and because the hat is crushable, you can easily pack it without a second thought. Although it's technically a men's hat, the timeless silhouette and elegant styling make it a great women's hat as well. It's all in the name. The Sol gambler hat from Scala is indeed a winner when the sun is out. 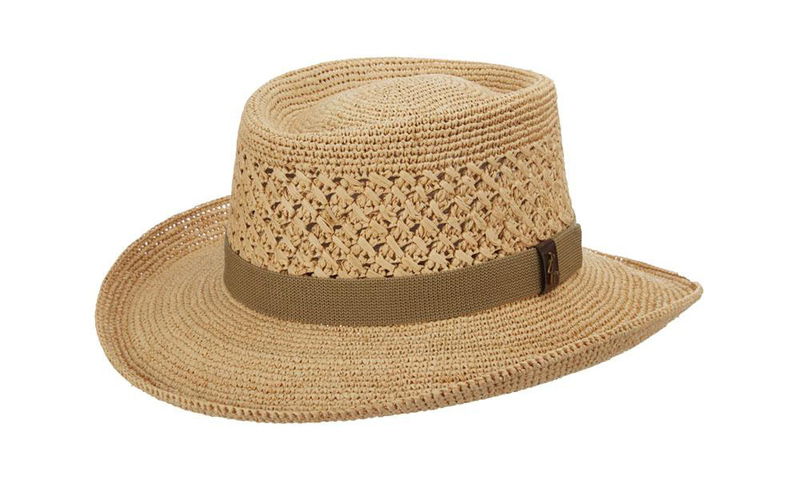 Crafted from hand-crocheted straw, this packable topper features a vented crown for optimal airflow while the 3 1/4-inch wide brim offers sun protection. Ideal for the straight-shooting traveler who's confident and adventurous. 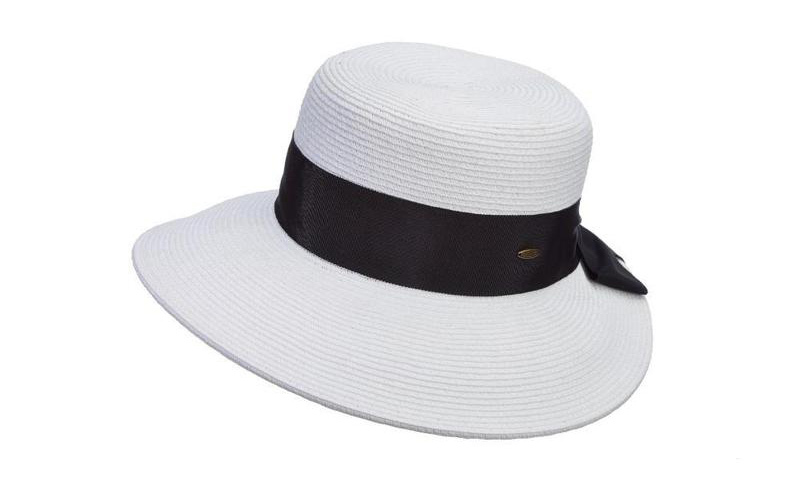 A classic large brim sun hat, this elegantly simple number from Scala Collezione is picture-perfect whether you're lounging on the French Riviera or a frolicking with friends during a daycation. 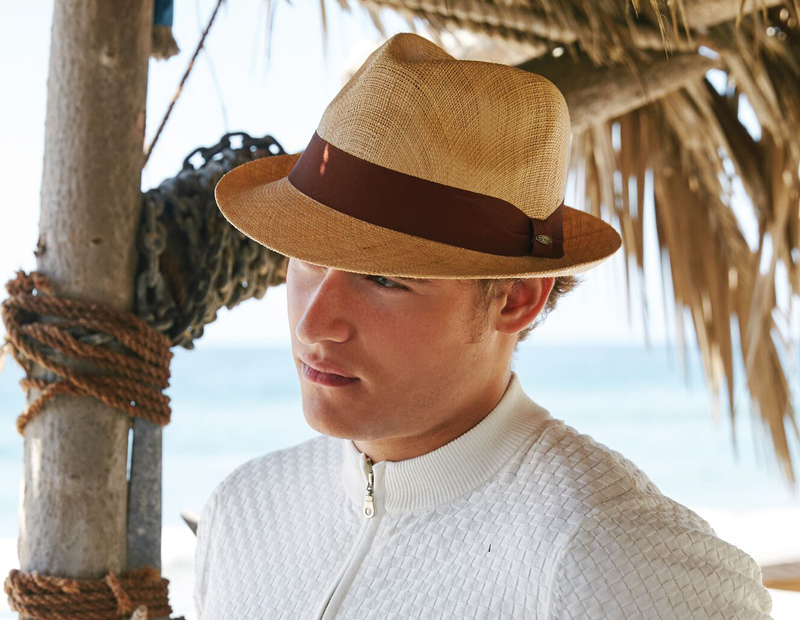 Made with paper braid, the New Port features a 5-inch brim as well as UPF 50 for maximum sun protection. It also has a sizing tie trim so it stays put and protects you from the summer sun in style. You'll definitely save face with the Sanibel facesaver hat from Scala Collezione. 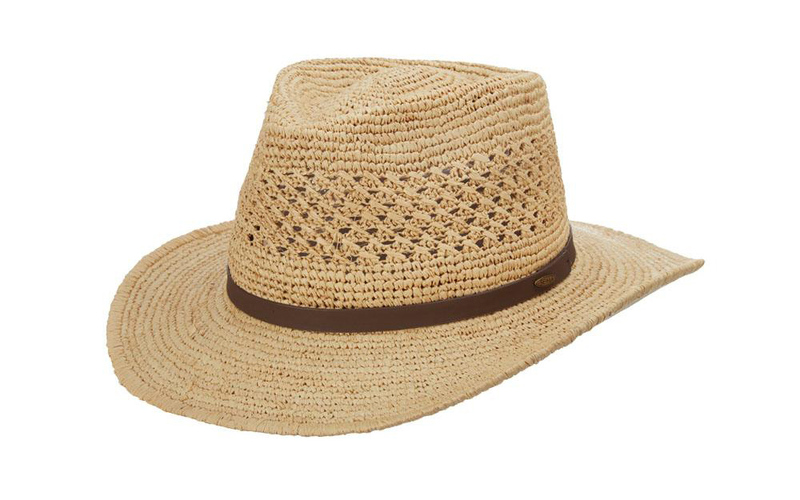 This crushable straw hat not only offers UPF 50 for ultimate sun protection, but it also boasts a 3 3/4-inch dimensional brim that is as functional as it is fashionable. The COOLMAX® elasticized sweatband promises an incredibly comfortable fit while the bright white hue and two-inch grosgrain ribbon ensures you make a statement wherever your travels take you. Up, down, and all around. This supremely flexible hat from Scala features a 4-inch braided upturn brim that you can turn down or bend upward. Hand-crocheted from raffia straw, Rockport is the perfect travel companion thanks to its crushability and wide brim that provides optimal sun protection for those long afternoons spent exploring. The herringbone band and bow add a special touch, proving that style and substance are not mutually exclusive. 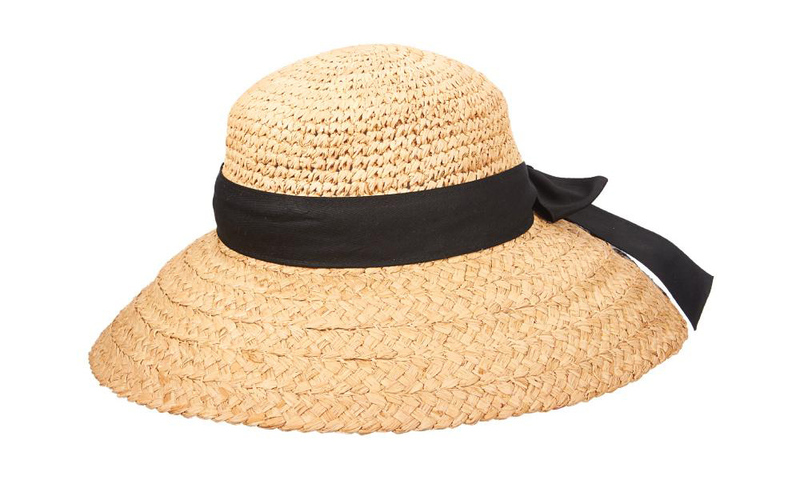 Transport yourself to the tiny island of Nantucket or anywhere else your heart desires with this braided raffia straw beach hat from Scala Collezione. 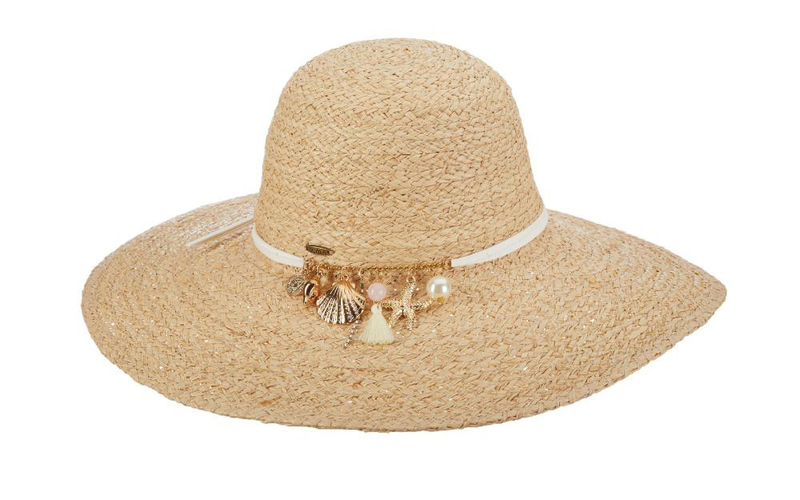 The charming band of nautically-themed beach charms complement the round crown while the 4 1/4-inch brim is primed for all-day sun protection. Amazingly, this hat is crushable for easy travel and features a COOLMAX® elasticized sweatband for even easier wear. No need to accessorize with any other jewelry when you're rocking this eye-catching number. When it's time for your next travel adventure, don't leave home without a packable sun hat. Now that you know the essential elements to consider when choosing a sun hat for travel, it'll become second nature and you won't even need to think twice. Just pack, wear, repeat. Safe travels!